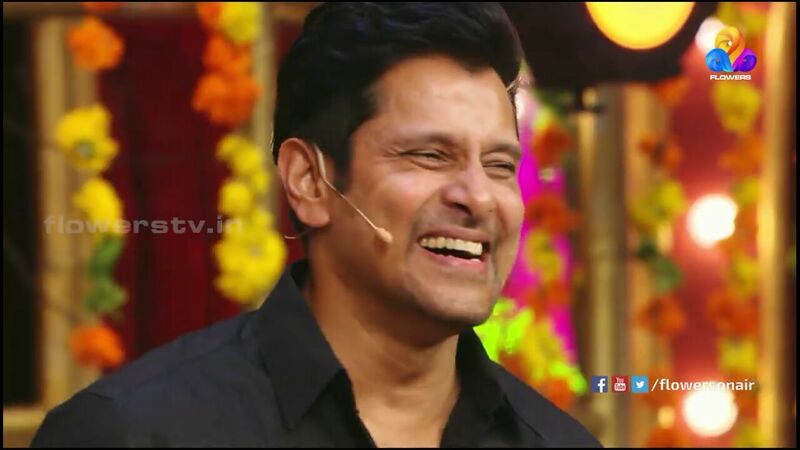 Comedy Super Nite Season 2 Special Episode With Actor Chiyan Vikram, He is Coming to Promote His Upcoming Tamil Movie Iru mugan Through Flowers TV. Actor Vikram is started his career through Malayalam films, he is again back into kerala for promoting his latest movie. Iru mugan movie is scheduled to release on 8th September 2016. Vikram is very much popular in kerala, all his films getting good response here. Vikram playing dual roles in this film, Akhilan and Love. Flowers TV will air the special episode of Comedy Super Nite Season 2 on 1st September 2016. Flowers TV is one of the popular malayalam television channel, its started few years back and at 4th positions in tv ratings. We have posted about the onam 2016 films of flowers tv here. Vikram special episode of Comedy Super Nite 2 will air 1st September 2016. There are total 3 episodes with actor vikram for Iru mugan promotions. Other two episode with Vikram will air during Onam Holidays. Flowers TV planning a heavy visual treat to the malayalee audience. Their promo promising 28 latest movie premiers and 100 Onam shows. Vikram special comedy nite 2 will be one of the main highlight of flowers tv onam shows. Nayantara, Nithya Menon ,Nassar , Thambi Ramaiah etc are in the star cast of Iru mugan movie. Its directed by Anand Shankar, produced by Shibu Thameens under the banner Thameens Films. Trailer of Iru mugan movie released few weeks back, it’s getting goof reviews. Vikram played small characters in some old malayalam films. He worked with Mammotty, Suresh Gopi etc, Sainyam, Druvam etc are some of his popular films. Indriyam was the last malayalam movie by Vikram, Then Bala’s Sethu give a breakthrough and He becomes a super star. Vikram is very much famous for his simplicity and ground to earth nature. Don’t forgot to watch the special episodes of comedy nite season 2 only on flowers tv.